Barnstable County is a peninsula that sticks out into the ocean and makes up the "handle" of Massachusetts. The county seat is right in the center of the county, the town of Barnstable. 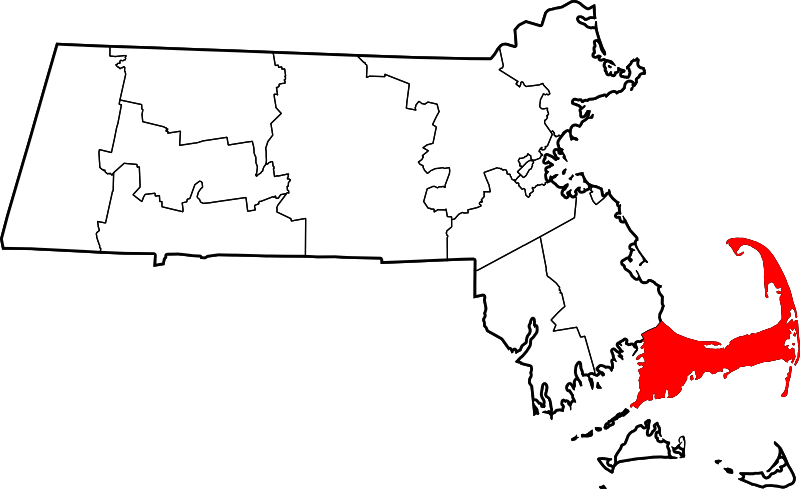 Barnstable County is bounded on the south by Nantucket Sound where the Dukes and Nantucket counties lie ; on the west by Plymouth County ; on the north by Cape Cod Bay; on the east by the Atlantic Ocean. and nothing else in the body of the email ( nothing in the subject area either ). Please turn off all signatures and/or tag lines. If you prefer digest mode, you should send the command instead to MAWORCES-D-request@rootsweb.com.